It can't quite keep up with FIFA, but it's still a must for soccer fans. A few days ago, a friend was talking to me about games coming out this past week. "Well, there's FIFA…and then there's the other soccer game." Those are his words exactly, as if Pro Evolution Soccer had become an afterthought in the face of EA's juggernaut. In a way, it sort of has, as Konami has remained pretty constant about how it wants Pro Evolution Soccer to run, compared to EA trying to make huge strides with its FIFA franchise for the better. 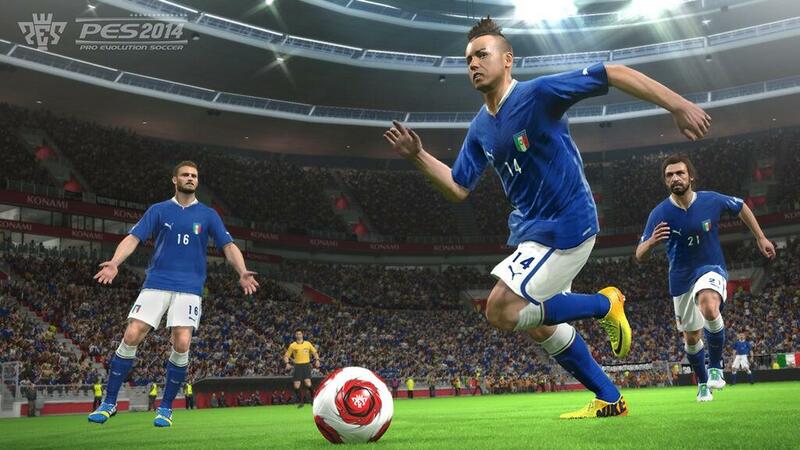 But does that make Konami's latest game, PES 2014, something that should be overlooked? Not really. For the first time in a while, a new technology is introduced, one that supposedly revamps how the game appears. That's not to say it's an entirely smooth process, but it does rejuvenate the visuals a little bit. The players look a bit more realistic this time around, and the recreation of some of the most famed soccer arenas around the globe can be stunning. That said, there are still problems, mainly with frame rate. The game stutters from time to time, in both the Xbox 360 and PlayStation 3 versions, especially when it comes to transition between gameplay and cut scenes. Still a learning process for Konami, I suppose.